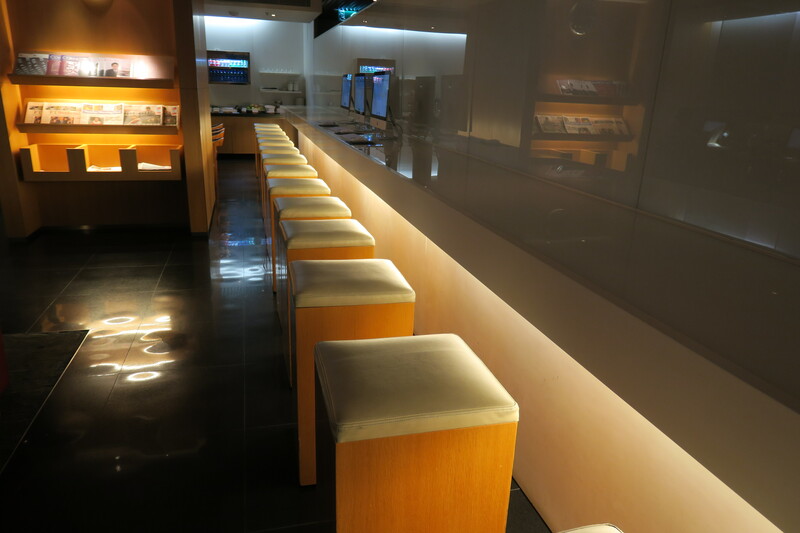 It was around 6:45 PM when we exited the arrivals hall area, so I asked my mom if I could take a couple of pictures of the Arrivals lounge, as I had no plans to take Cathay Pacific business class in the near future. She obliged, though note that this was taken out of a sheer ~3 minute trip to the arrivals lounge. 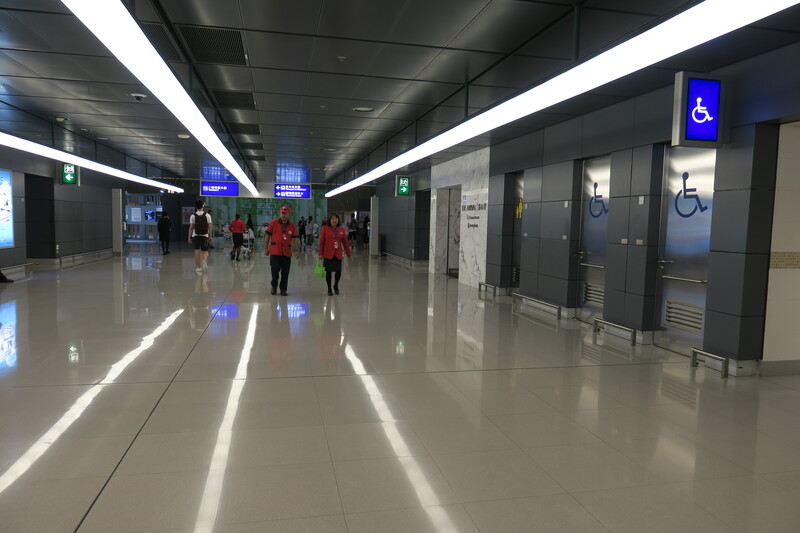 Cathay Pacific has long offered an arrivals facility at Hong Kong Airport, though its reputation hasn’t been great. Any facility is better than no facility, and the lounge does feature showers, but I decided to check it out to see if it was worth it. 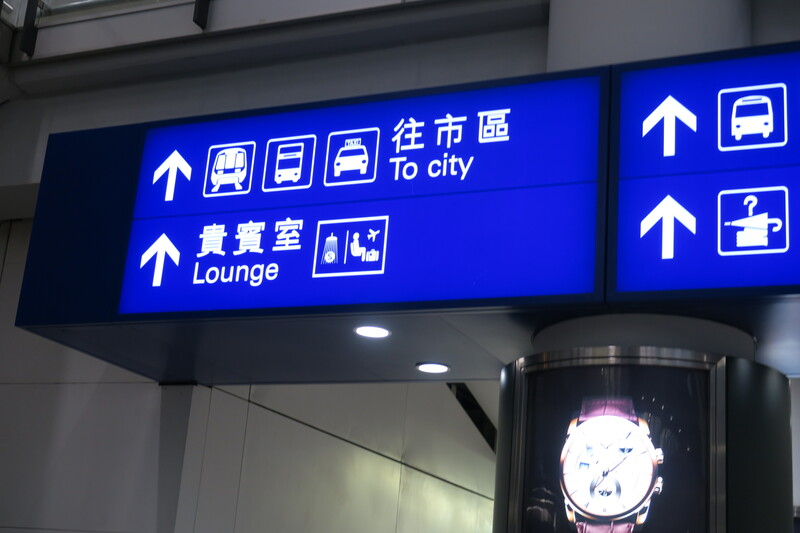 I made my way into HKG’s arrival hall and followed the “lounge” signage to the arrivals lounge. To do that I had to walk down some stairs – unlike the Swiss Arrivals lounge in Zurich, it can be rather hard to find the lounge, which explains why not many people know about it. I found myself in a little underground corridor heading towards Terminal 2. The Plaza Premium Lounge was located on the left side, and the Arrivals Lounge on the right side. The entrance to the Arrivals Lounge was much smaller than I thought, and consisted of a little hole-in-the-wall, which I went through. I’d imagine it’d be rather claustrophobic for the person working the desk to be sitting there all day. The lounge was actually bigger than I expected, though definitely looked shabbier. 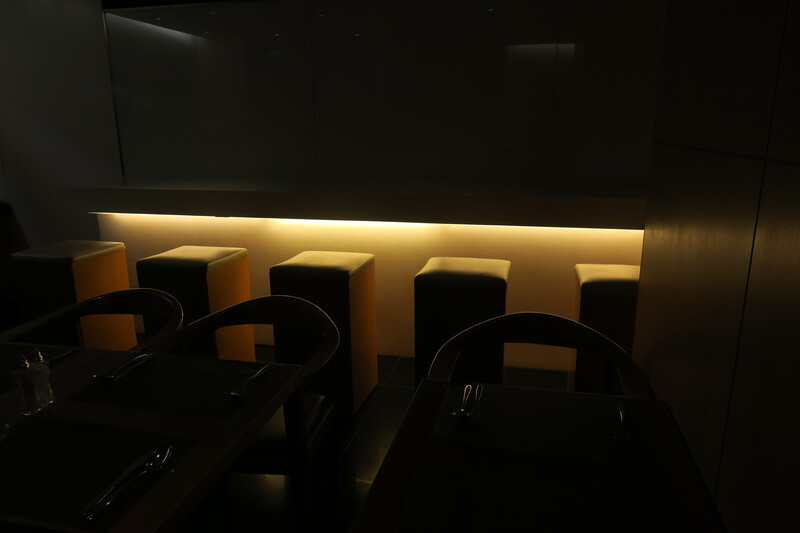 It consisted of two partitioned areas with a few features that didn’t look like they’d been touched since 2008. I was actually surprised that there were people in the lounge, since it was 6 PM and I’d imagine all families had places to get to. Right past the entrance and the little staff working room was a seating area featuring several rundown chairs facing each other. You can’t eat there or anything, though presumably you can have a bit of a conversation or a little bit of work done. It didn’t help that the red that some of the chairs used didn’t age well. To the right was a bar that spanned the entire right side of the lounge, with white chairs that didn’t seem to be aging too well either. Near the end of the bar were some iMacs where you could get some work done if you needed. I don’t have any complaints there. Past that was a dining area. 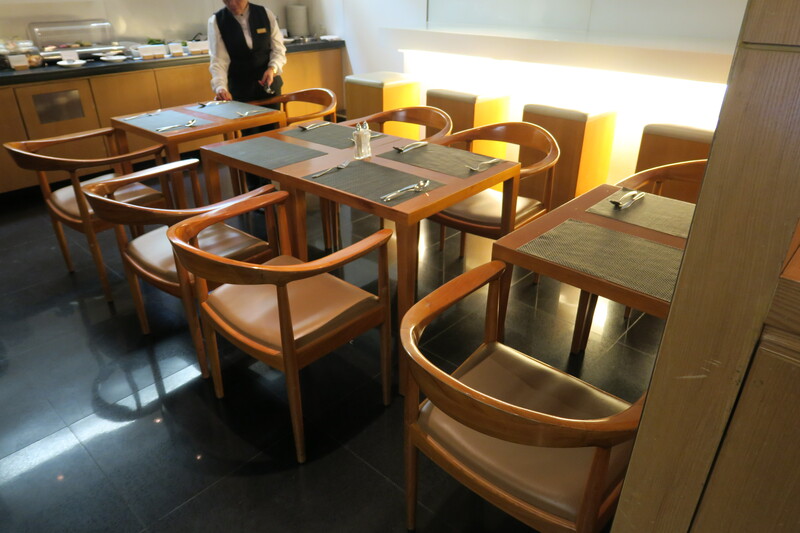 I know that this place offers eggs for breakfast, so it’s smart to have the tables set out – though I kind of wish there was some hot food for the tableware to be used. Or, at least, a little more than a few salad items and a few stale cakes that presumably have been out all day. There was a coffee machine that was appreciated, but it didn’t look replaced anytime past 2008 either. 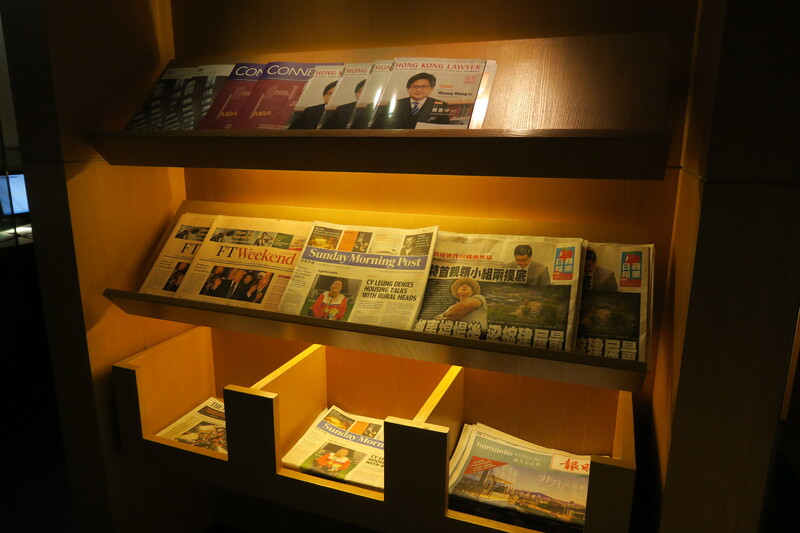 There was also reading material in the lounge, though when you’re not waiting for anything I don’t think anyone would be reading in here. It’s always nice to have the option, though. At this point I realised that one of the Filipino lounge attendants was staring at me, rather wide-eyed. I smiled at her, and she stared at me. It wasn’t a glare, but rather a terrified stare. It probably didn’t help that I was wearing all black either. I smiled and asked if I could take some pictures, and she seemed to shudder, and sort of backed off, saying that she should ask one of the other lounge attendants first. She conferred with another lounge attendant, who seemed as confused/terrified as she was, before coming to the conclusion that I “can take picture, but don’t take picture of the guests and not of the staff”. I won’t rehash it too much, so just look at the post I made then if you want details. I left the lounge and was on my way back home upon five minutes of entering the lounge. Yeah, it wasn’t very impressive. 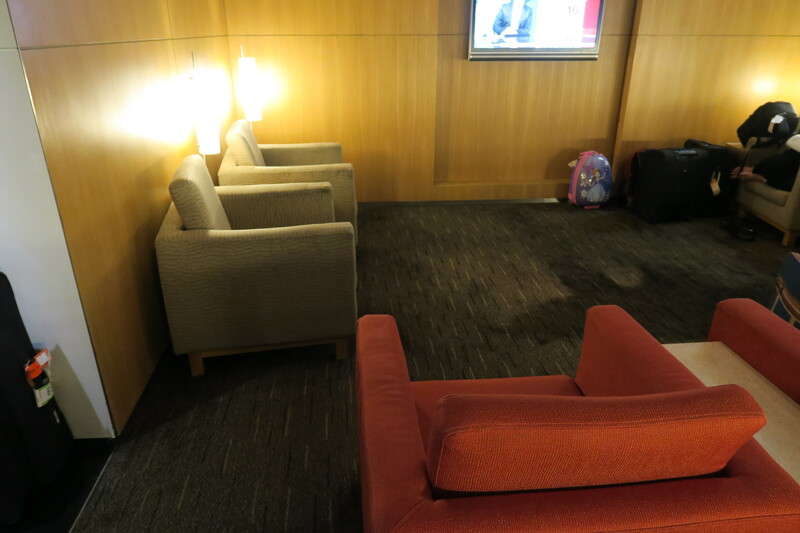 It’s worth noting that for the entire time I was in the lounge, it felt a little stuffy, and the lounge was empty. Just imagine what it would feel like with tons of people. While I appreciate Cathay Pacific having an arrivals lounge at Hong Kong Airport, it in no way represents the brand Cathay Pacific wants to be, so I’m not sure why they bother. While I guess it’s useful for passengers on the morning rush from North America and Europe waiting before meetings, Cathay Pacific definitely either needs to step up their game, or start collaborating with Plaza Premium. 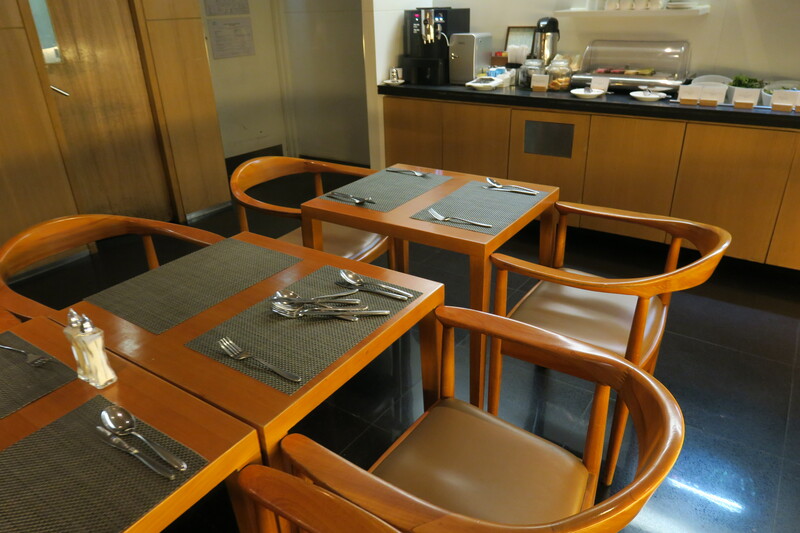 While it is an arrivals lounge, I won’t hesitate to label this Cathay Pacific’s worst lounge at Hong Kong Airport. While I’m not looking for another, say, The Pier, an arrivals lounge for paying business class passengers needs to be less run down, less stuffy, more well managed and serviced, and needs to feature better food items. I did appreciate the work options the lounge provided, though – I hope the WiFi also works well during the crowded mornings, or the lounge would be completely useless.